I hope you understand it." 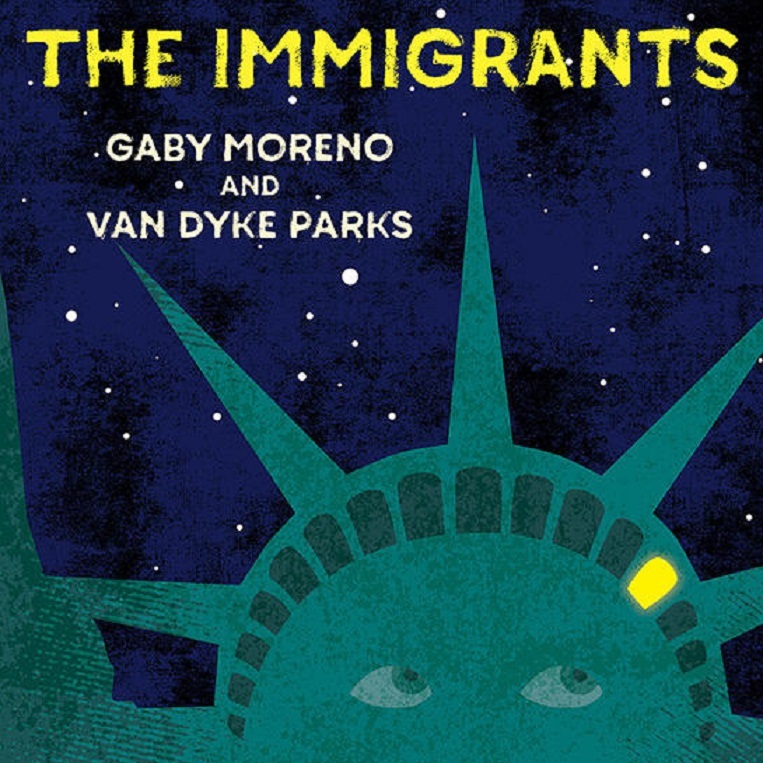 Guatemalan-born singer-songwriter Gaby Moreno and American musician, songwriter, arranger, and producer Van Dyke Parks mark the United States' Independence Day holiday with the release of their heartfelt interpretation of David Rudder's "The Immigrants" on July 3, 2018. Rudder, a renowned Trinidadian Calypso artist, wrote the song twenty years ago in response to the horrifying attack by New York police officers on the Haitian immigrant Abner Louima. The song speaks, as much today as in 1998, to the harsh treatment of immigrants while also celebrating their contributions to America, and their admiration of the ideals upon which the nation was founded. "The Immigrants" may be purchased from the Nonesuch Store, iTunes, and Amazon, and streamed at YouTube, Apple Music, and Spotify. Proceeds will be donated to the Central American Resource Center of California (CARECEN), a community-based, nonprofit organization whose mission is to empower Central Americans and all immigrants by defending human and civil rights, working for social and economic justice, and promoting cultural diversity. "I am a Guatemalan immigrant. This country welcomed me eighteen years ago. It breaks my heart to see the events taking place at the border right now. We all deserve to be treated with respect and dignity and to be received into this country with more love and empathy," Moreno says "The song 'The Immigrants' was written by a wonderful artist from Trinidad named David Rudder and was brought to my attention by the brilliant Van Dyke Parks, who has arranged this piece with such passion and grace. It's a powerful message of courage, love and faith that resonates to this day and should be spread wide across the entire nation and beyond. We all share the same dreams and we came here to fulfill them and to prosper, together." Parks adds: "When I was offered a concert at Denmark's Roskilde fest in 2010, I saw that immigration would become a central issue in the USA, and felt this anthemic tune could entertain as well as inform—and change hearts—and I asked Gaby to join me. 'The Immigrants' has a political punch, while also being joyful and underscoring how our culture is refreshed by immigrants like Gaby, and how those who arrive here can really redefine, and help build America. As Phil Ochs observed 'In such ugly times, the only true protest is beauty.'" Moreno and Parks originally recorded "The Immigrants" for inclusion on a collaborative album to be released this fall. They opted to put this song out early in order to voice their support for those caught in the current immigration crises.